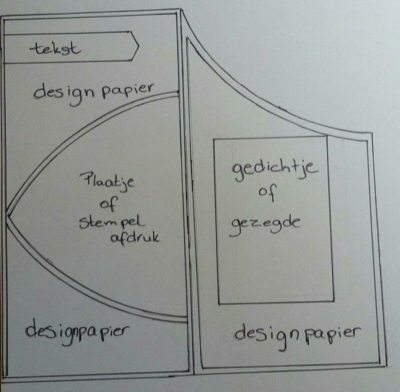 This week we received a sketch at Hobby Alternatief with, at least for me, unusual shapes, I don’t know if my college team members made cards like these before, but I haven’t. 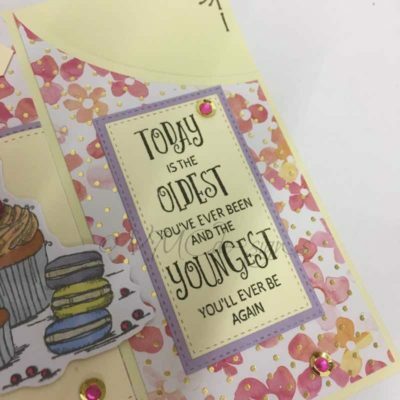 For this card, a real challenge for me, I had to sit down for some time and move the dies that I could use several times over the paper to get the best result. I had to do a lot of calculating and measuring to get the sizes and borders right. 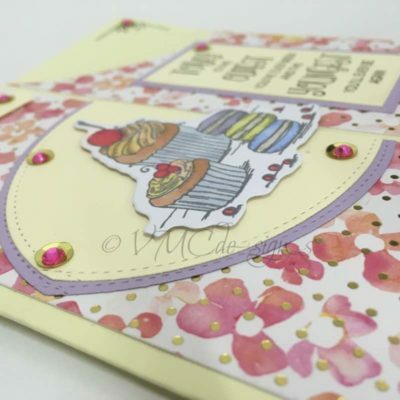 I finally succeeded to create the sketch with a few oval and rectangular dies, I had to cut them double or even 3 times in different angles to get sizes and results I wanted. 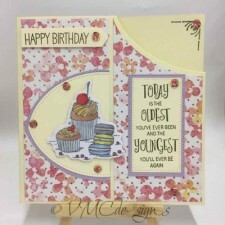 Here are the photo’s of the card I made for this weeks challenge. In the upcoming weeks my college team members will be showing their creations with unusual shapes too. 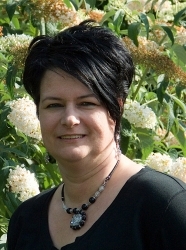 You can read this post in dutch to at my HA Blog, I have written more details in there when you want to know the measurements and what items I have used.